Bulldog Winch Receiver Mount Kit - 2" x 2"
Replaces the roller fairlead for your Superwinch LP8500 off-road winch. 4 Rollers reduce friction and wear on your wire rope. Steel construction with zinc-plated rollers and black powder coated frame. 8,500 lbs. 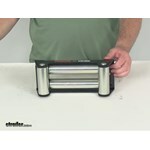 Call 800-298-8924 to order Superwinch accessories and parts part number SW2302293 or order online at etrailer.com. Free expert support on all Superwinch products. Guaranteed Lowest Price and Fastest Shipping for Replacement Roller Fairlead for Superwinch LP8500 Winch - 10" Mount. Accessories and Parts reviews from real customers. Replaces the roller fairlead for your Superwinch LP8500 off-road winch. 4 Rollers reduce friction and wear on your wire rope. Steel construction with zinc-plated rollers and black powder coated frame. 8,500 lbs. Distance between mounting holes (center to center): 10"
Note: The roller fairlead does not mount directly to the winch - it typically attaches to tabs on the winch mounting plate (sold separately). Most aftermarket mounts include these tabs. Today, we're going to review part number SW230-2293. This is the Superwinch Roller Fairlead for the Superwinch LP 8500 and LP 10000 winch. 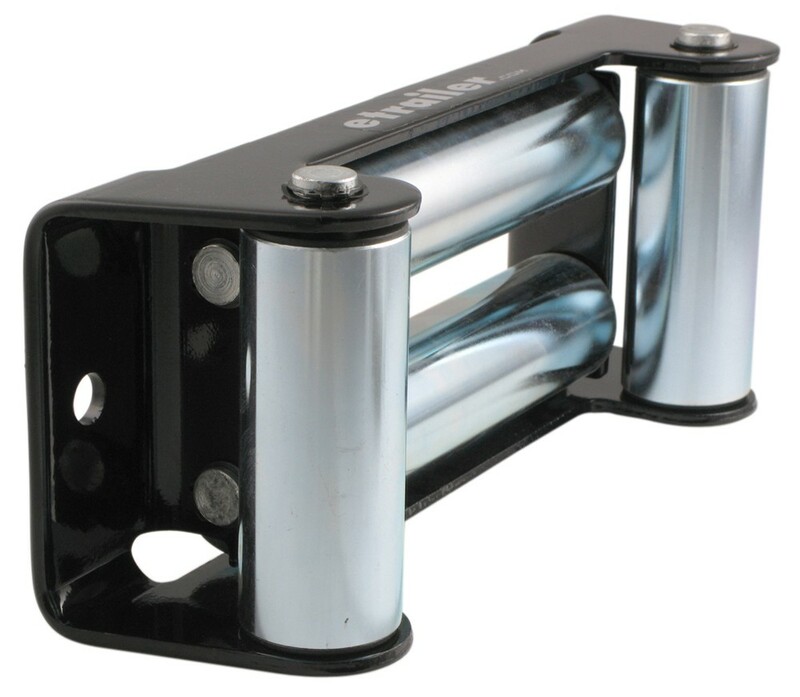 A roller fairlead is used on the front of an electric winch, and will reduce wear and strain on wire or cable, especially on if there's any pulls at severe angles. 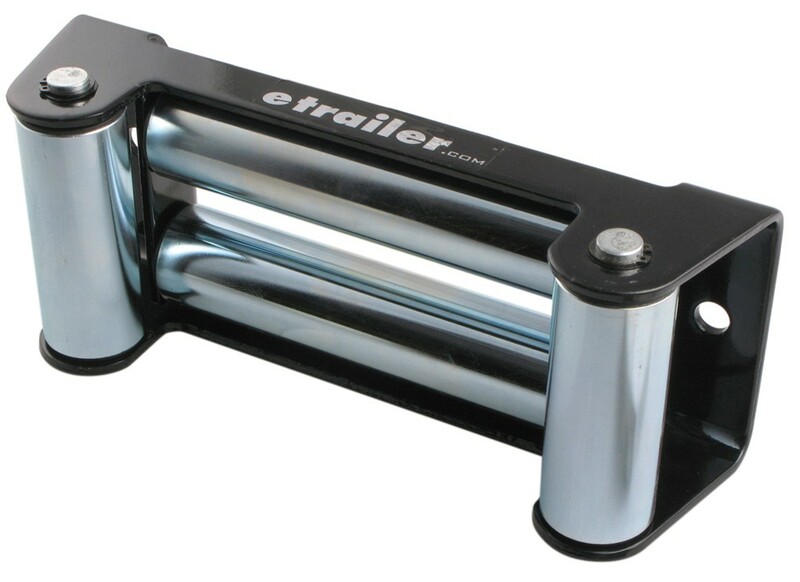 You can see the Roller Fairlead contains four stainless steel rollers, two horizontal and two vertical. Now, this Fairlead does not mount directly to the winch. It does mount in front of the winch, and then your wire cable would come right through here. Basically, this aids in when you're pulling it out if you're at an angle, the wire cable would roll up against these rollers, or if you're up or down at an angle, then it rolls on these. It helps any damage to that wire cable. The other nice thing is that when you're bringing the cable back in, it also will help keep line it up on the drum of the winch itself. This part here is an optional Heavy-Duty Four-Way Roller Fairlead for the Superwinch LP 8500 winch, and is a replacement Heavy-Duty Four-Way Fairlead for the LP 10000 Superwinch. This is mounted by using these two mounting holes here, and I do want to give you the distance between them. They are half-inch diameter, and center to center, they measure right at ten inches. That should do it for the review of part number SW230-2293, the Superwinch Roller Fairlead. . I pulled one of these fairleads, part # SW2302293, from our warehouse and the holes are 10 inches, center to center and they are 1/2 inch in diameter.